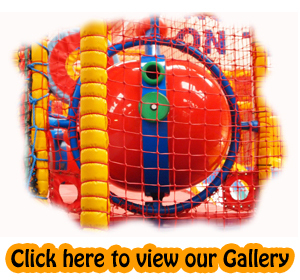 Party Time at Dizzy Kidz provides a chance to relax and enjoy your child's party. Our kid’s parties are excellent value and will be a day to remember! All parties are for 1 hour 45 min in party room PLUS we offer 2 menu options (subject to availability). Chicken Nuggets, Mini Pizzas, Fishy Shapes, Smiley Face/Chips, Soft drinks and Ice cream @ £8.50 per head. Please help us to help you - We would urge you to remember to book numbers carefully as we have no alternative than to charge for ‘None Turn Ups' in excess of two per party. Just bring the kids and the cake and candles. Please book early to avoid disappointment. It is important to make any special requests at time of booking because it can often be difficult to fulfil unplanned requests!